This is the most comprehensive list of fireworks and Independence Day celebrations in Collin County. 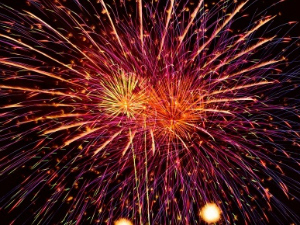 Check our Calendar of Events for a day-by-day listing of fireworks and 4th of July celebrations in Allen, Anna, Blueridge, Celina, Farmersville, Frisco, McKinney, Melissa, Parker, Plano, Princeton, Prosper, Richardson, Sachse, Weston, Wylie, and Dallas. Event takes place prior to July 4. Entertainment begins at 4:00 pm; cool misters near the Community Stage. Food zone features healthy options and traditional fair food. The Kids Zone offers many fun things for children to enjoy (tickets required). Teen Zone, with fun activities designed for teens. Tethered hot air balloon rides! Said to be one of the largest and most amazing fireworks displays in North Texas. VIP seating for active and retired military and their families (ID required). Military vehicles on display. In 2015, over 88,000 people attended this event! UPDATE for 2018: Due to construction, there will not be live music, the car show, or bounce houses this year. Grab your grills and your family and head to Cottonwood Creek Church. Tailgating, live music, car show, fishing, food trucks, water slides and bounce houses. 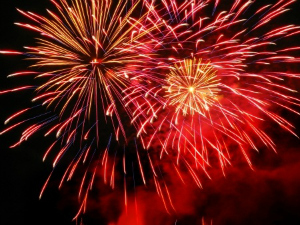 Stick around for a great fireworks show put on by McKinney's Red, White, and Boom! The gates open at 8:30 pm and the fireworks begin at 9:15 in the Anna Athletic Stadium (behind Anna Middle School). Refreshments will be available for purchase, and the kids will get free glow necklaces (while they last). The parking is free, too! Event takes place prior to July 4. For the kiddos, a train ride and wet slide (to cool off! ), and bring some towels to dry off and a comfy chair because the fireworks show begins at dark! Festival food (hot dogs, nachos, snow cones, popcorn, cotton candy) along with ice cold watermelon and bottled water provided at no cost. Free. Live music and entertainment, free kids activities, water slides, craft and merchandise vendors, food, fireworks and much more. Free, but there is a fee for parking. Live entertainment, washer tournament, fire truck tours, sack races, car show, cake auction, water slides, games, vendors and a 30-minute fireworks show. There is no charge for the event, however, the event benefits the Farmersville Volunteer Fire Department so donations are accepted. Community Stage, Taste of Frisco, fun children's activities and fireworks. The Frisco Rough Riders July 4th weekend event includes three days of games followed by fireworks. The celebration may be reserved for members of this private country club, but the great thing about fireworks is they can be viewed nearby! Begin the day with a classic Fourth of July Parade at 10:00 am, followed by a Classic Car Show from 1:00 - 5:00 pm. Both events are held in Historic Downtown McKinney. At 5:30 pm the event moves to the McKinney Soccer Complex at Craig Ranch where from 7:00 - 9:30 pm families enjoy activities, food and live entertainment. At 9:45 the fireworks begin. This small town celebration begins with a pancake breakfast and parade and culminates with fireworks. Activities include music, vendors, and a children's play area. All-day event features music from Christian artists, fireworks, children's entertainment, food vendors, rides and exhibits. Held at the Southfork Ranch of television's "Dallas" fame. The day starts with a hometown parade at 9:00 am the Plano ISD Admin Building heading north on Independence Parkway to Plano Senior HS. Fireworks starts at 9:00 pm. The show is choreographed to music and simulcast on 97.5 KLAK. Show held at the Oak Point Park and Nature Preserve. Fireworks and Fun at Coldwell Park/POW Camp from 5-10pm! Fireworks begin at 9:30. The event is free, but there is a cost if you choose to park close. A free shuttle is available. Food, arts and craft vendors, live music, free bounce house and a train ride (charge). The quintessential small town 4th of July experience! The event includes the Pride of Prosper Charity Softball game, live music, food trucks, car show, games and activities, bounce houses, and a fireworks show. Kids will also enjoy the splashground and Windmill playground. Free. 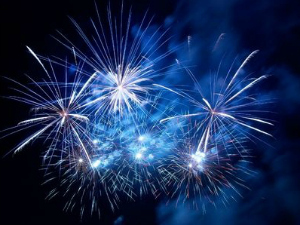 Sparks will fly at the City of Richardson's annual "Family 4th Celebration"! Attractions include strolling balloon artists, bounce houses, and a climbing wall for the kids! Bring picnics, blankets and/or lawn chairs and enjoy the evening under the stars! Free. Sachse's Annual Red, White & Blue Blast includes live entertainment, activities, food, vendors, bounce houses, contests, face painting, and of course, fireworks. Bring your lawn chairs, blankets, and bug spray! and join them for an evening of good, old-fashioned family fun. 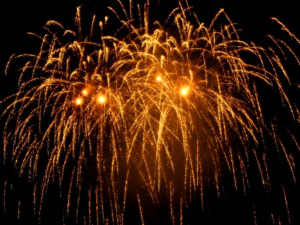 The fun begins with a parade at 6:00 pm and culminates with fireworks at 9:30 pm. This real down-home small-town parade is the what we envy in the movies! Farm equipment and tractors, go-karts, mowers and even kids' on bikes and in wagons. Want to get in on the fun? No problem! Walkers are welcome with or without animals and there's no registration or fees. Patriotic music, flag raising, and even a bake sale at the Community Center. (Public restroom in the Weston Community Center.) Free. The fireworks will not take place in 2017, but there is still lots of fun to be had in Wylie! A full day event beginning with live music, a car show, chili cook-off, arts and crafts. This is a great way to celebrate our nation's independence in a small town atmosphere. Free. Event takes place July 3. Awarded 2013 Reader's Digest America's Most Spectacular Fourth of July Fireworks; Yahoo's America's Most Amazing 4th of July Fireworks; PR Web's Top Five Cities for Fourth of July Fireworks! Rated one of the top places to watch fireworks in the country by the American Pyrotechnics Association, USA Today, Travel + Leisure and The Wall Street Journal, the nationally-recognized fireworks show can be seen from anywhere in Addison. The dazzling 30-minute fireworks show is choreographed to music and a live radio simulcast on 100.3 JACK FM. Plus there is great food, live music on the Dos Equis Stage and the spectacular Addison Airport Air Show featuring the Cavanaugh Flight Museum Warbird Flyover. This is the City of Dallas' official Independence Day celebration featuring fireworks, entertainment, "dancing water" shows at the Esplanade Fountain, activities for the kids and more. Event runs from 4:30-10:00 pm on Friday, July 4 at Fair Park. Featuring patriotic performances, Event is free with reduced admission to Fair Park's museums at select times. Fireworks can be viewed inside the Cotton Bowl or around the Fair Park grounds. Claiming to be North Texas' Largest 4th of July Fireworks show, the festival is free but VIP tickets are available at $25 each. This event includes FREE activities for the kids including bounce houses, face painting, pony rides, miniature golf, levee slide and water slide! Live music and other paid activities are also available. This picnic celebration was held at the Ft. Worth stockyards, but has returned to Austin, TX.